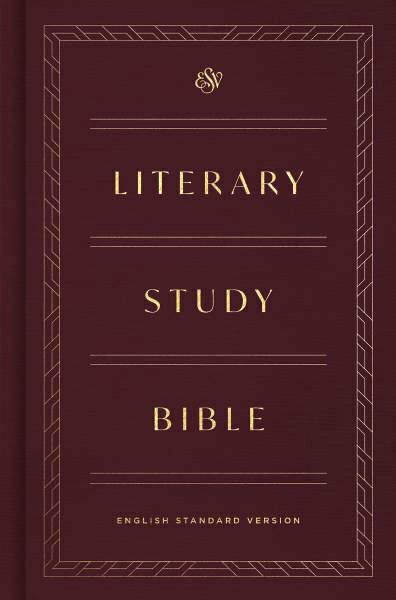 Combining thousands of insightful notes with the complete ESV Bible text, the Literary Study Bible helps readers understand God's Word more fully, in all its richness and beauty. It highlights the Bible's story lines, complex characters, historical settings, literary genres, motifs, theological themes, imagery, and important terms, making the Bible come alive with greater clarity and impact. This one-of-a-kind study Bible is an indispensable tool for devotional reading and in-depth study. Leland Ryken, the Clyde S. Kilby professor of English at Wheaton College, has written and edited more than twenty-five books, including The Literature of the Bible, Words of Delight: A Literary Introduction to the Bible, How to Read the Bible as Literature, A Complete Literary Guide to the Bible, Dictionary of Biblical Imagery, and Ryken’s Bible Handbook. He has been a leader of the Literary Approaches to the Bible interest group of the Evangelical Theological Society. He earned his PhD in literature at the University of Oregon. Philip Graham Ryken, senior minister at the historic Tenth Presbyterian Church in Philadelphia, has written and edited more than twenty books, including Exodus and Jeremiah and Lamentations in the Preaching the Word commentary series and Galatians in the Reformed Expository Commentary. He also coauthored with his father, Leland Ryken, Ryken’s Bible Handbook. He earned his MDiv at Westminster Theological Seminary and his DPhil at the University of Oxford. He serves as visiting professor of practical theology at Westminster Seminary California.